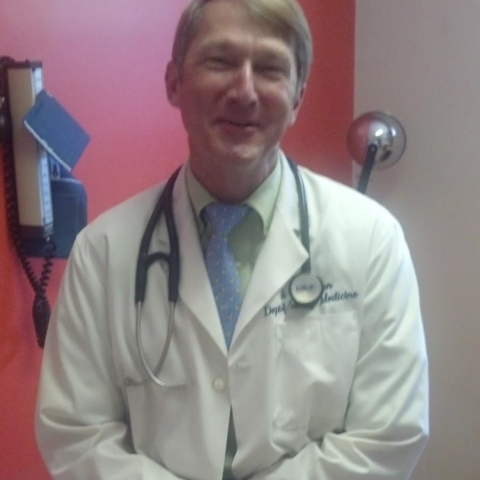 Dr. Jordan was raised in St. George South Carolina and attended Clemson University from 1975-1979 earning his B.S. with honors in Microbiology. He graduated with honors from M.U.S.C. in 1983. He returned to St. George to open Family Medicine Center, where he has been serving the community since 1987. Dr. Jordan and his wife, Joye, have three children and is an avid Revolutionary and Civil War relic hunter. Dr. Jordan serves as the Medical Doctor for the Low Country Honor Flight allowing WWII veterans to fly to Washington, DC to view their WWII Memorial.